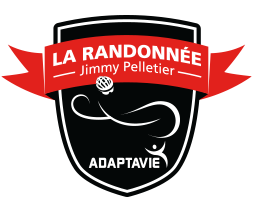 The funds raised by La Randonnée Jimmy Pelletier and Spin-O-Cage allow us to acquire adapted material and sports equipment. These equipment are precious to begin a step in adapted sports and its loan increases considerably the accessibility, as much for the disabled person as for his family circle. Weekend respite summer camps and spring break camp at Camp O’Carrefour of Orleans Island. Social, cultural and sports activities for adults (Loisir +) offered at night and on the weekend from September to June and every day of the week in July and August. Social, cultural and sports activities for teenagers (Ados+) offered at night and on the weekend from September to June and every day of the week during the spring break and summer holidays. Activities after school (animated surveillance service) for ID – ASD clientel of La Citée High School offered every day of the week from September to June. Patro Roc-Amadour gives nearly $1,5 millions/year to services intended to ID – ASD clientele. It is a major partner of the well being and integration of disabled people in the Quebec region. THANKS to Mr. Jimmy Pelletier for his involvement and his support to Patro Roc-Amadour.